The Q-Zone Hoop-Frame is a whole new type of machine-quilting frame that easily manages fabric like a simple hoop. 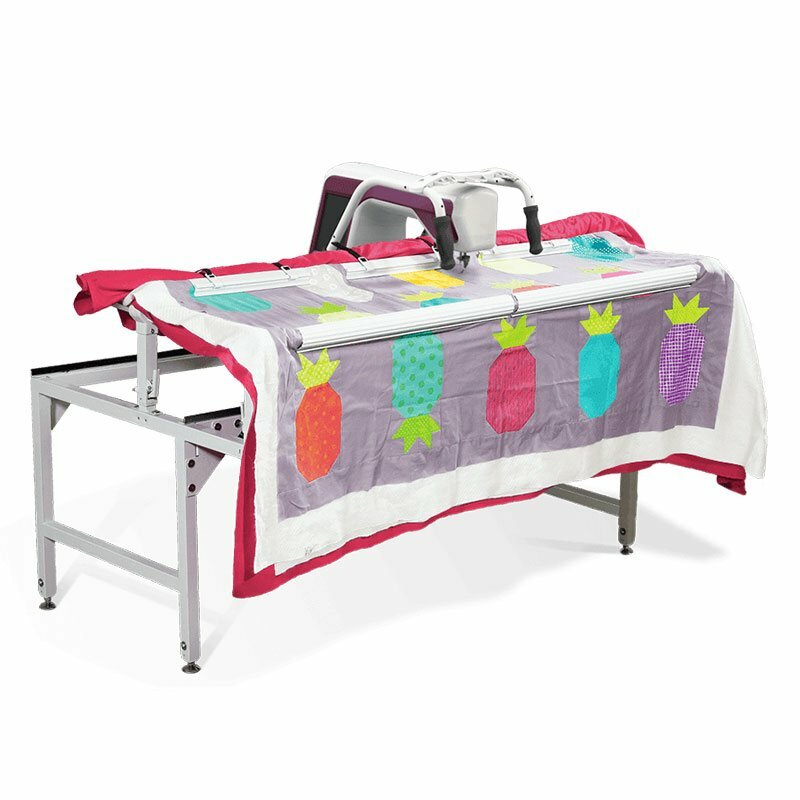 With its small space-saving form factor you can set it up in any room and still quilt even the largest projects. Use it with your home sewing machine! Call 620-441-0939 to make an appointment to try your machine on this revolutionary frame.